Publication: August 23rd 2015 by Kindle Worlds. Derrick Coltrane's future rests on portraying a settled, respectable and married man. All he needs is a wife—now—and Abby fits the bill. She’s successful, smart, gorgeous, and would make the perfect corporate wife. He just needs to convince her to tie-the-knot by the end of the month to close the most important deal of his career. This is such a cute light and quick read! I loved the idea behind the book. Jerk Rich Guy, aka Derrick, asks his newly met girlfriend to marry him and quick. She isn’t sure she loves him but she is moving forward anyway. She also is a wedding planner and owns her own business. She supposed to be planning her own wedding. But what she wants isn’t available at such a short notice, so she drags her feet on her wedding and focus on other weddings. Jerk Rich Guy (Derrick doesn’t even deserve a name) asks his childhood friend (sort of friend) to pretend his fiancé (non existent one) is out of the area and has left him in charge of planning their wedding and have her plan his wedding. Thing is, the wedding is really just to get her to hurry and plan her own wedding so Jerk Rich Guy can get his promotion. Hunter doesn’t agree to this at first. He thinks and knows Jerk Rich Guy is a, well, jerk! But when he sees the picture of Abby, he says okay. The first time Hunter and Abby meet there is chemistry, flirtation, and near touches. As they plan, they talk and get to know each other. But she is confused because he is supposedly taken. She doesn’t do cheating. As sparks fly and when Abby finds out the truth, Abby is furious and doesn’t want either one. Hunter though, doesn’t back away so easily! This book is so dang cute. Abby has a friend who has been married a couple times. She offers a win win solution! I loved the characters, well except Jerk Rich Guy. There are sweet moments and funny moments. Hunter is a good guy and it was easy to fall for him even though the book was very short. My only wish was that it was longer so I could have more of them! Much thanks to the author for reaching out to me to read her book in exchange for an honest review! 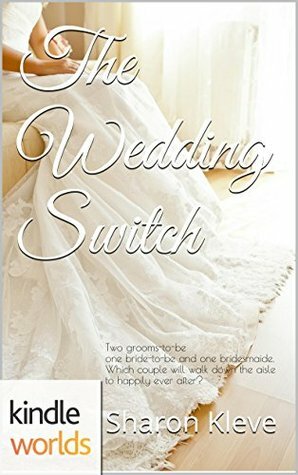 Thank you so much for reading and reviewing The Wedding Switch. I really appreciate it and I'm glad you liked it.